I still remember the first time I had a Past Life regression done many years ago now. I drove almost two hours to have it done looking for answers that I somehow knew I would find. I remember being surprised at how unbelievably calm I was as I poked about the new age shop waiting for the lady to call me for my appointment. She knew I had psychic abilities immediately even though I wasn’t actively working with them at that time. I was shocked how much she knew. She told me about my guides and then told me that the regression was going to be incredibly easy for me if I just followed what came to me easily. She told me I had gifts in seeing past lives and I would use them one day. I didn’t know about that part, however I had visited my first psychic about 6 months before that who had told me I would be working with the tarot one day so it definitely caught my attention. 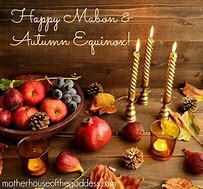 Next Next post: N.H Ostara / S.H Mabon- Gathering on 20th, March 2018. Circle starts at 7:15 PM CT SHARP.